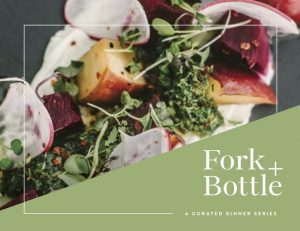 Join us Friday, September 7 as Metropole chef Jared Bennett will join forces with Maker’s Mark for a Fork & Bottle dinner. The evening will begin with canapés at 7pm, followed by a four-course dinner with bourbon and bourbon cocktail pairings. Along the way, Kentucky Diplomat Jacklyn Evans will provide insights into all things Maker’s Mark. Price is $75 per person.